My apologies to lovers of snow, but enough is enough. Yes, after years of drought, we needed the moisture. But winter has long overstayed its welcome. We traveled to Billings last week for the State B basketball tournament. The trip was straight out of the TV series, “Highway Thru Hell.” May we never have to travel in such conditions again. After all, asked the paper, “What looks more beautiful than a neat little cottage surrounded with shrubbery and flowers, enclosed by a nice white paling, having in the rear a well-kept vegetable garden? Good advice then and now, for all of us – and, it’s not just for aesthetic reasons. 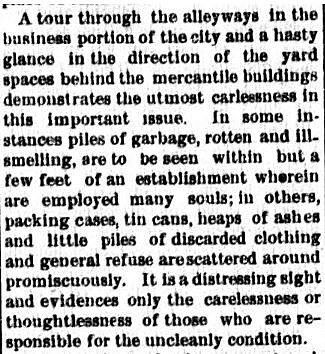 Odoriferousness was one thing, but the paper worried that the heaps of ashes and discarded flammables in alleyways was also a prescription for a devastating fire. 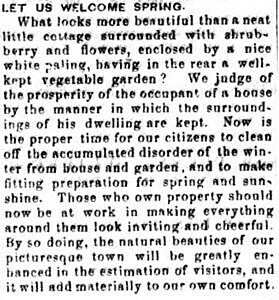 In 1909, the Daily Missoulian reminded readers why Missoula was known as the Garden City: “To its miles of residence streets is to be traced the origin of the title, which, after all, is the proudest that Missoula bears. Long rows of tall shade trees, stately, well kept, fringe the streets in straight, seemingly endless lines. “After the trees of the streets come the trim lawns of the residences that line Missoula’s avenues and boulevards. The man who owns property on any street of Missoula is bound to keep his premises in a neat condition. He would be very conspicuous if he didn’t and so a slovenly yard in Missoula is a thing hard to find. In the spring of 1948, volunteers were asked to turn out at Thomas Greenough’s old place (by then, converted to “Greenough Park”) to clear out the overgrown brush and dead trees. They were instructed to bring their own tools and meet at the “new wading pool” near Monroe street. 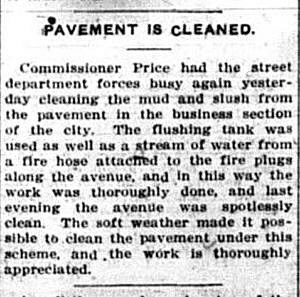 All across Montana, newspapers encouraged their readers to tidy up. 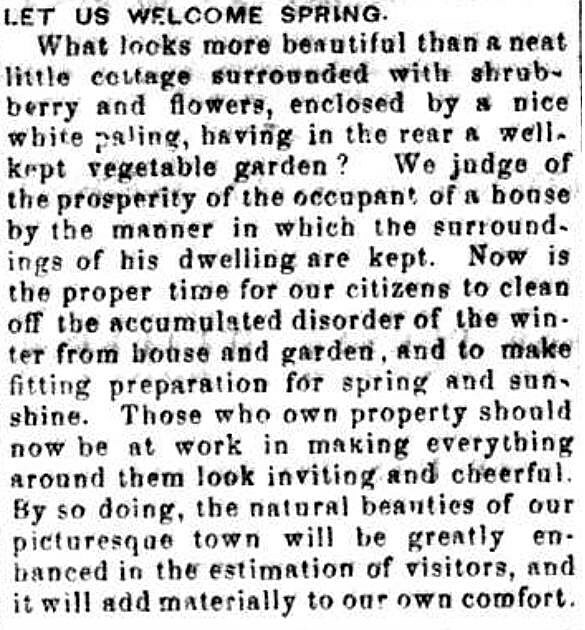 In Lewistown, the Fergus County Democrat, urged men of the household to “go halvers with their wives in the cleaning business.” The 1905 paper suggested townsmen get outside and “make some dirt fly,” planting flower beds, while their wives made “the dust fly,” inside. 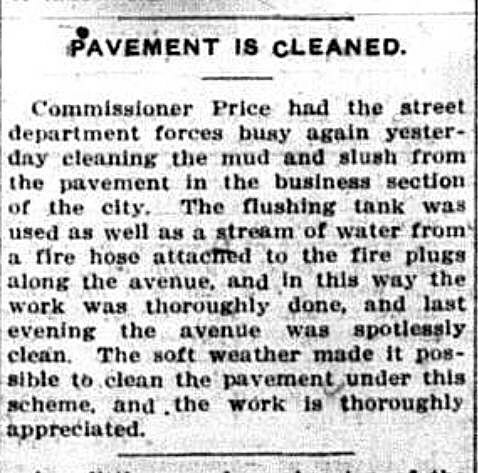 In Glasgow, the Courier called on everyone from the rotary club to girl scouts to do their part in a 1918 clean-up campaign to eliminate “all fire hazards” in the area. The Great Falls police department, though, took “spring cleaning” to a different level. In 1922, it organized a spring-cleaning-roundup of undesirables. I think I’ll limit my spring clean-up to yard and garden.